The signs were not looking good leading up the to Wales meet. The hut booking had fallen through, Llanberis high street was a raging river and the A55 was touch and go. But the weather didn’t put anyone off, and YAC ended up in the South Wales MC hut in Deineloin. After packing for a soggy weekend, we were instead greeted with a mild and dryish one, with the rain holding off until near dusk both days. This means biking, climbing and walking got done and a good time was had by all. Donal persuaded Peter and Ann to go biking in Betwsy Coed forest – mainly so that he could purchase a new cycle helmet first, having left his at home and not impressed with the loan of Ann's ca 1970's bright yellow Joe Brown climbing lid. After haggling hard at a bike hire shop, Donal became the proud owner of a used, but considerably more modern form of head protection. Suitably equipped, the trio headed off to cycle the Marin Trail – fitting, as both Donal and Ann have Marin bikes. Ignoring the substantial barricades and huge 'trail closed' signs, they found the route to be surprisingly good, if somewhat slippery in places. "If it was dry, we'd nail this" was a frequent comment as bikes went sideways down the trail. (Dry? Wales? I think not!). They were really enjoying themselves, but when Peter and Donal stopped at the end of a long fast section, they realised Ann wasn't with them. Moments later, the forest echoed with a very loud 'bang' and being alone in a dark Welsh forest, thoughts of 'Deliverance' sprang to mind as they both assumed Ann must have been shot. Donal bravely retraced the route to find Ann, looking like some sort of rural skip rat, dragging her bike along. The back wheel had literally exploded, signalling the sudden and long overdue death of her less than well maintained bike. Ann (with her armful of scrap metal) and Peter (with a map) were left to find their way back down into Betwsy whilst Donal completed the route (with a few short cuts) in order to retrieve the car. 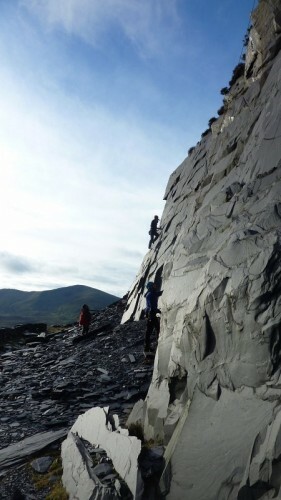 Sharon and Mike pootled around the quarries whilst the climbers headed en masse to Anglesey to Holyhead mountain (not a mountain) for some cragging. It was a quiet and grey day, and mild out of the wind. Rob guided Justine and John up various routes including Stairs (S*) and Pigeon Hole Crack (S 4a) then taught them how to abseil, and set them back down again. Everyone else hopped up and down the crag and climbed routes including Candlestick (HS 4b) and the ominously-named Vegetable Garden (VDiff). The weather started to threaten a bit more insistently so we buggered off back to the cars, almost timing it perfectly and only getting rained on for about 15 mins. Ah well. Saturday evening saw a lovely dinner cooked by Sharon, Mike and Rob, sat around the huge table in the slightly soggy kitchen. As the hut didn’t have an oven, Annie went on the scrounge across the field to the Lincolnshire club hut returning with warm bread rolls and a warmer complexion. No questions were asked, comments made or michael taken. At all. On Sunday, Donal was fighting off a cold and did very little, whilst Peter and Ann went for a little walk. Sharon and Mike rode the Marin trail Sunday. Unlike the Saturday group, they finished it. 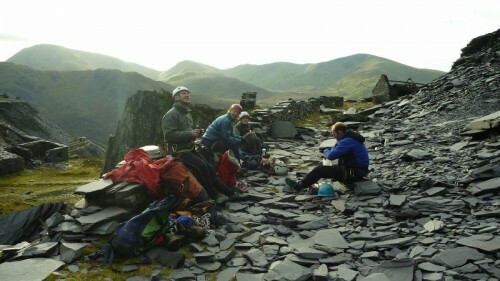 The climbers nipped up the road to the atmospheric state quaries at Denorwic for some sport climbing. A new venue for several YAC-ers, the slate lived up to its quick-drying reputation, literally drying off before your eyes. A good sociable day was had with everyone leading and top-roping the delicate routes under the surprisingly blue sky and taking lots of pictures. We wern’t the only Yorkshire group in attendance, York uni and Leeds uni were there, and Rob got blanked by one of his students. 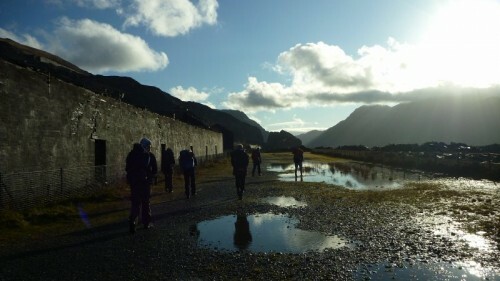 Late afternoon drizzle sent us back down the hill the scenic way via tunnels, back to the hut and home. A good weekend snatched from the jaws of the weather gods and a good lesson in the rewards to be had from braving dodgy weather forecasts and just getting out anyway! C3, Pete B and I headed to a bunkhouse in Wales this weekend as Catherine can't make the trip next week to Deniolin. Weather gods were meant to be playing kind and they didn't disappoint despite the insistent rain on the drive over. We made ourselves at home and after a relaxed start, watching the clouds over the Ogwen massive, decided to head for the ever reliable Tree-Mud-Rock. Stunned to find ourselves the only climbers in a sun drenched layby we set about One Step in the Clouds (VS 4c ***). The crag had many wet streaks but this route avoids them with just one damp corner to be negotiated. I chose the dryish but much more awkward corner to its left, well protected but at least 4c maybe 5a for a move. 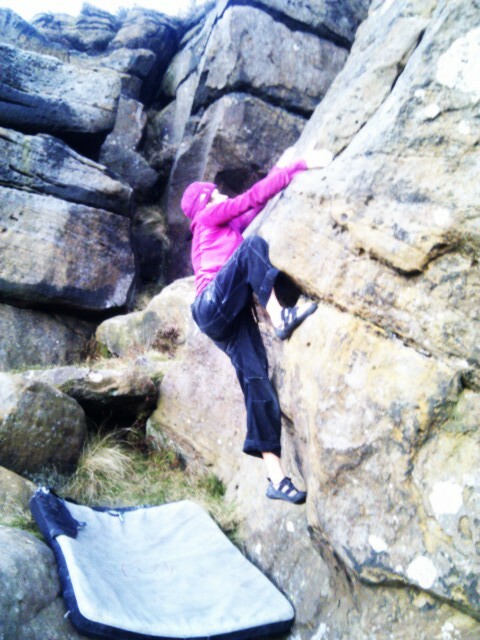 Pete and Catherine both agreed that it was the crux! 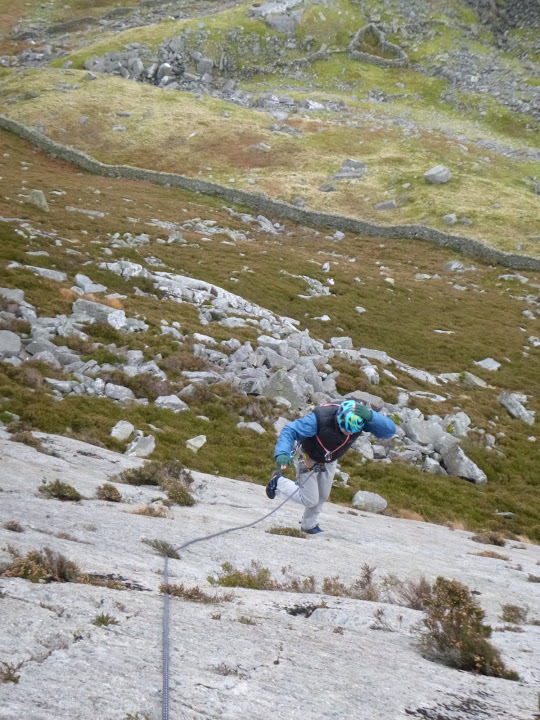 Pete got the lovely slab pitch and we finished off along the picturesque hand traverse flake. 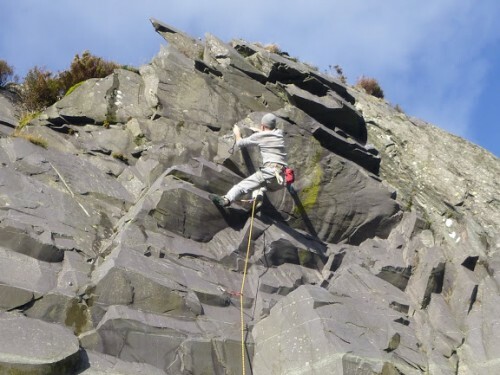 A quick abseil down a deserted Grim Wall area (50m ropes get you safely down in 1 – just) we did Hail Bebe (VD ***) which shares the start and finish (sort of). 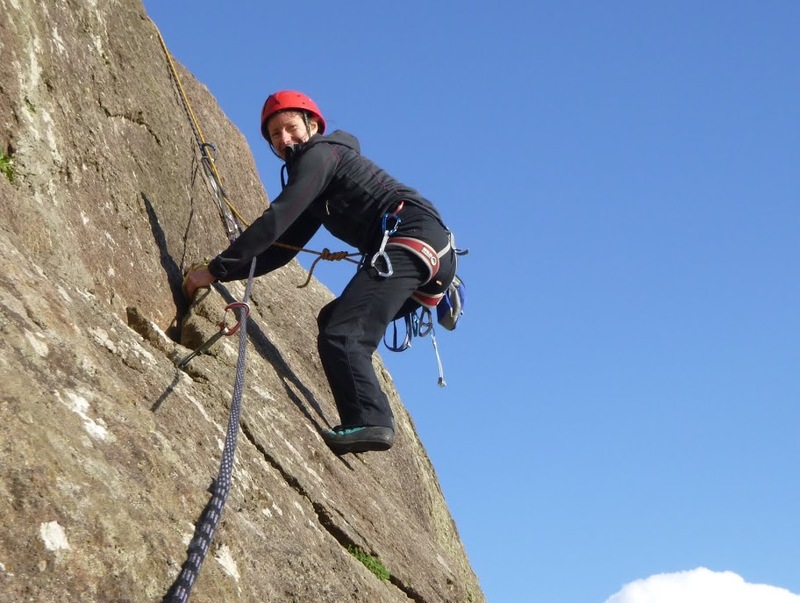 The middle pitch allowed Catherine a chance to practice her leading skills and she now has a good understanding of rope drag. Finishing as it got dark we opted for the walk down (when I could find it – oops) which is a tad tricky when buried under a foot of leaves and it's pretty dark. Tea, hot shower, a big curry (with home made chutney) and a few beers saw us lightweights retire early-ish. Back at the bunkhouse we had a cup of tea and a tour of owner Gwyn's handiwork upstairs. With the great weather this w/e I made two trips to Scugdale as no one seemed to be available for the peak. Scuggy is a great place if you are in 'billy-no-mates' mode as there are loads of easy routes to solo (and i've got most of them wired!) It's also a good place to have a social time like what we did on Sat innit, dude we was well rad. With Peri, Paul, Graham, Dave S, not-so Sweary Ian and his girls Pia and Erin (leopard can change its spots it turns out) all admiring the parking of Carlton Outdoor Centre. Paul's new mat got a good bouncing on and we all enjoyed the sunshine and some chips and beer post session. 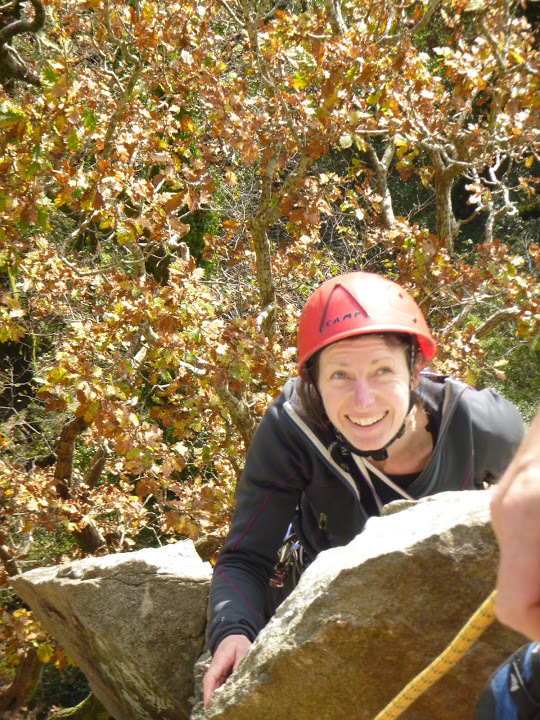 We also managed to snare an Officer (not squaddie) Rich into our group, it's like that when bouldering aka messing about. Sunday Karl and I met Simon Lambert from leeds there, it was a bit cloudier and cooler but we managed a few solos and threw a rope down a bunch of the higher more technical routes which Karl proceeed to test. 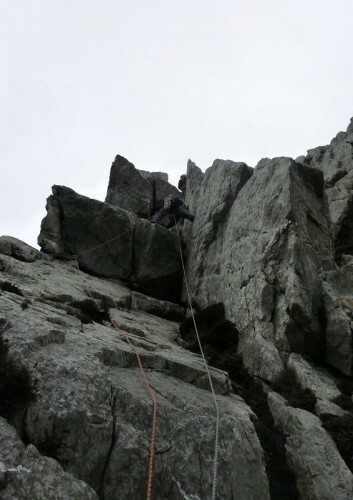 You are currently browsing the York Alpine Club Blog blog archives for November, 2012.